Standardization in tools and documentation of child abuse and intimate partner violence have proven helpful in completely documenting injuries and suspected abuse among these populations. Similar tools do not yet exist for older adults and elder abuse. To (1) use insights from experts to develop a tool to assist clinicians in appropriately and completely documenting physical findings in injured older adults for potential future forensic investigation of abuse or neglect and (2) to assess the feasibility of incorporating this tool into clinical practice. Two-phase, exploratory qualitative study. Phase 1: individual interviews with elder abuse experts from various specialties in medicine and criminal justice. Phase 2: focus groups with anticipated end users of the tool. Phase 1 telephone-based key informant interviews were conducted with 11 elder abuse experts (2 detectives, 3 prosecutors, 1 forensic pathologist, 2 geriatricians, and 3 emergency medicine physicians). Phase 2 focus groups were conducted among emergency medicine (n = 10) and primary care (n = 8) providers. 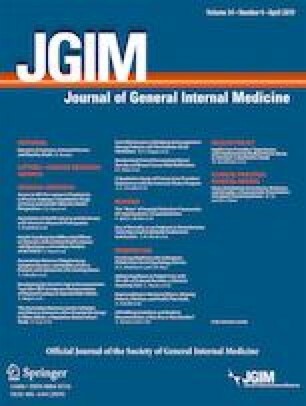 Key informant interviews were conducted telephonically while the two focus groups were held in-person at an emergency medicine site in New York, NY, and a primary care site in Los Angeles, CA. Experts agreed that medical providers’ documentation of geriatric injuries is usually inadequate for investigating alleged elder abuse/neglect. They highlighted elements needed for forensic investigation: initial appearance before treatment is initiated, complete head-to-toe evaluation, documentation of all injuries (even minor ones), and documentation of pertinent negatives. Several noted the value of photographs to supplement written documentation. End users identified practical challenges to utilizing a tool, including the burden of additional or parallel documentation in a busy clinical setting, and how to integrate it into existing electronic medical records. A practical tool to improve medical documentation of geriatric injuries for potential forensic use would be valuable. Practical challenges to utilization must be overcome. The online version of this article ( https://doi.org/10.1007/s11606-019-04844-8) contains supplementary material, which is available to authorized users. The authors would like to thank all of the key informant interviewees and focus group participants that generously gave their time. This study was funded by the Department of Justice (DOJ) and in part by the National Institute on Aging of the National Institutes of Health under award numbers 5 K99AG052647-02 and 4 R00AG052647-03 for ACK’s time. The content is solely the responsibility of the authors and does not necessarily represent the official views of the Department of Justice or National Institutes of Health. This study was presented as a poster at the American Geriatrics Society (AGS) annual meeting in San Antonio, TX, in May 2017. Lifespan of Greater Rochester Inc., Weill Cornell Medical Center of Cornell University, New York City Department for the Aging. Under the radar: New York state elder abuse prevalence study: self-reported prevalence and documented case surveys. 2012. http://www.ocfs.state.ny.us/main/reports/Under%20the%20Radar%2005%2012%2011%20final%20report.pdf. Accessed 12 December 2018. National Resource Council. Elder Mistreatment: Abuse, Neglect, and Exploitation in an Aging America. Washington DC: The National Academies Press; 2003. https://www.ncbi.nlm.nih.gov/books/n/nap10406/pdf/. Accessed 12 December 2018. Capterra. The top 20 most popular ERM softward solutions. http://www.capterra.com/infographics/top-emr-software. Published January 25, 2012. Updated 2017. Accessed 12 December 2018.